This article was written by Charlotte Daniels, published on 28th January 2019 and has been read 427 times. The title au pair is often misinterpreted and misconstrued. However, with the right exchange and preparation, being an au pair abroad can be a fantastic travel opportunity and prove to be a very enriching and rewarding experience for all parties involved! Having secured an au pair placement online and spoken on numerous occasions with my soon-to-be ‘Spanish family’, I was all set to fly to the beautiful Spanish region of Asturias, north west Spain, in June 2014. I had just completed my first year as a modern languages undergraduate at Warwick Uni and was advised by senior students to spend my summer holidays practising my Spanish and taking advantage of the opportunities open to language students. English au pairs are highly sought after in countries like France and Spain as a lot of families are keen for their children to learn English, and what better way to practice than have a native in your very own house! This is great because it means when organising the placement, you can be slightly more selective when choosing your host family. Top tip is to ensure that you have ‘skyped’ or video-called your family before setting off. Normally au pair matching websites do checks to ensure the safety of their pairings however it’s always important to ensure you know exactly who will be welcoming you the other end. Also, ensure you negotiate salaries and conditions (working hours) before you set off to ensure all parties are happy and on the same page as to what is going to be expected. Fortunately enough, I found myself living with a fantastic family who very much adopted the spirit of ‘mi casa es tu casa’. The two young boys, Juan and Diego (then aged seven and nine), tennis stars in the making and their lovely parents Natalia and Vicente welcomed me into their home with open arms. 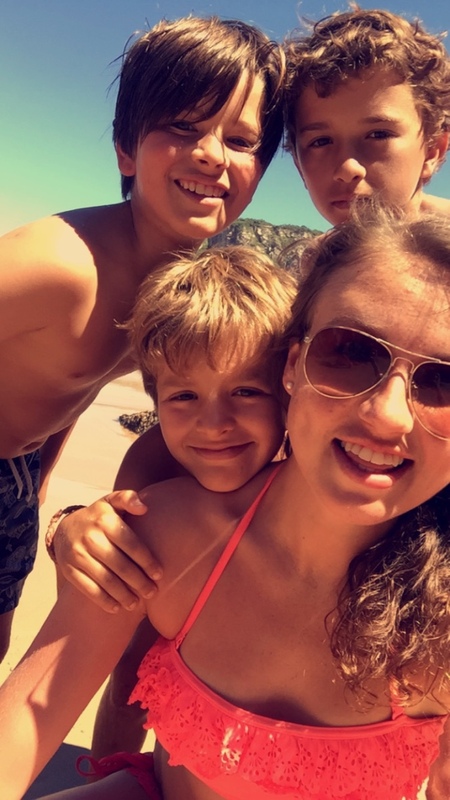 The primary aim of my stay was to teach the two boys English (as we had scheduled English lessons every day) but also the idea was that my Spanish would equally come on leaps and bounds as I lived in the family home. Neither of the parents spoke English and this is something I would strongly suggest ensuring is the case. From excursions to the supermarket and running daily errands to countless challenging exchanges on public transport, I found myself fully submerged in the culture and with no choice but to test out my Spanish skills. 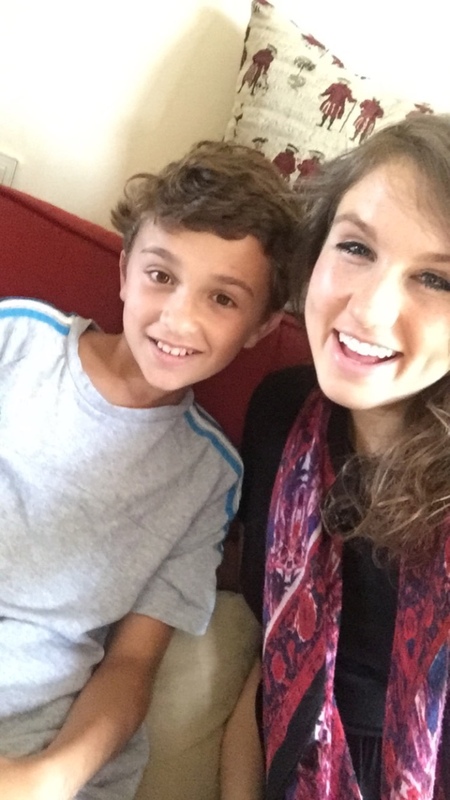 So what is the key advice for someone embarking on an au pair experience? My top tip would be make sure you do your research before you travel! Use sites such as the Foreign and Commonwealth Office travel advice pages with their checklists and living abroad advice to research all your adventures. For example, guidance on living in Spain, how to access healthcare and of course those all-important EU exit changes and how this may affect your travel. Make sure you’re fully aware of your rights as a foreign citizen and swot up with all the guidance and advice for British nationals living and travelling in the EU. Even if it doesn’t seem like a far-away destination each country has their own local laws and customs and really planning your visit cautiously is vital. Don’t be afraid to ask your au pair family lots of questions before you make the voyage, to ensure that you are going to be happy and safe living in your chosen destination. And don’t forget to travel as much as possible! For example, I did weekend trips all across northern Spain; venturing to the cosmopolitan streets of Barcelona and to the breath-taking sandy beaches of San Sebastian. However, on such adventures, I learnt how important it is to have the savoir-faire when travelling. I was sure to make use of the extensive advice available, such as that from the FCO on topics such as pickpockets and being hustled, without which my voyages might not have gone so smoothly. Advice such as making two photocopies of your passport, always being aware of your surroundings and wary of strangers, especially in densely populated places where there are lots of tourists, was imperative to keep in mind at all times. And remember, being an au pair is a full cultural immersion, so be sure that you’re prepared for this. In order to get the most out of your experience you’ll need to fully embrace the cultural experience. Don’t be afraid to try new cuisines, step out of your comfort zone, try new activities, spend as much time with natives and your au pair family. Families often don’t ask for an au pair’s assistance at weekends but are often more than happy for the au pair to accompany them on their family excursions, I would strongly suggest taking up this offer. Spend as much time as you can practising the foreign language, getting involved and building those all-important relationships.It also makes the whole experience a lot more enjoyable as you don’t have time to miss your own family back home when your too busy spending time with your new one! My own personal experience clearly had me wanting more as I returned the three consecutive summers thereafter and have watched the boys grow up into young teenagers. They now, much to my dismay, no longer are in need of, or rather are far too ‘cool’ for their ‘older English sister’. I made contacts and memories I will treasure forever, I cannot recommend au pairing enough, regardless of your level of the foreign language, it’s definitely worthwhile. Explore, embrace the experience, find your home-away-from-home, watch your language improve immensely, but all importantly - do so safely! How do you pick yourself up after a bad experience abroad? Anyone know how to find accommodation in Rome ASAP (20th June)?